In 1998, the National Institute on Drug Abuse (NIDA) published the first edition of Assessing Drug Abuse Within and Across Communities: Community Epidemiology Surveillance Networks on Drug Abuse to share information on establishing drug abuse epidemiology networks at community and State levels. The first edition was widely distributed and well received, with ongoing requests for a reprint of the publication. However, it was clear that an update and not a reprint would be of most value to the fields of drug abuse epidemiology, research, and intervention. Since 1998, the expansion of the Internet has greatly enhanced access to relevant drug abuse information. Also, since 1998, there have been substantial changes in drug abuse data sources used by epidemiology networks. 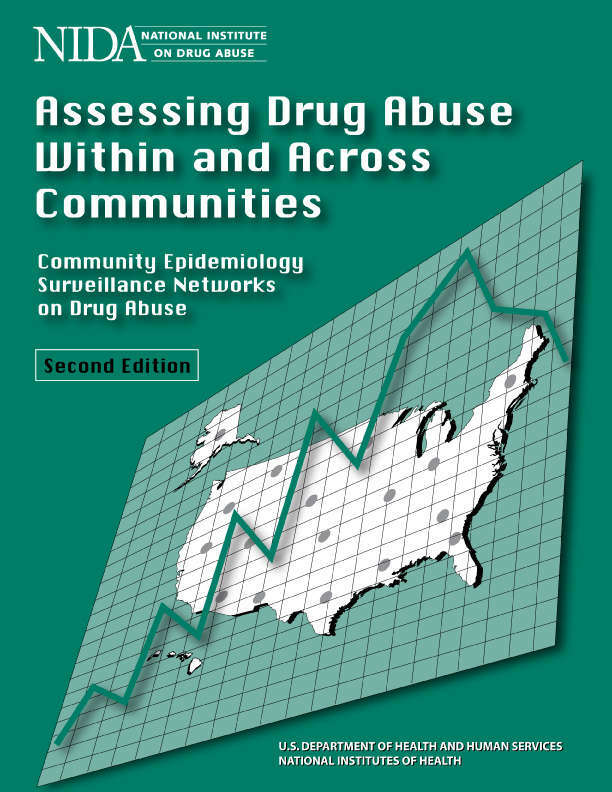 This second edition addresses these changes, but the purpose of this edition remains the same: to provide guidelines for establishing epidemiology networks to monitor and assess drug abuse patterns and trends and emerging drug problems at community and State levels to provide a foundation of information for public health response. NIDA's Division of Epidemiology, Services and Prevention Research has continued to support epidemiology networks, including the Community Epidemiology Work Group (CEWG) consisting of 21 sentinel metropolitan areas, the Border Epidemiology Work Group in coordination with the Ministry of Health of Mexico, and State Epidemiology Work Groups. International epidemiology networks, modeled after the CEWG, often present data at CEWG meetings on drug abuse patterns and trends in other nations. Years of experience with these groups are testimony to the contributions of epidemiology work groups in advising public health response in our Nation as well as other countries. This second edition differs from the first in format. For each data source, there is a description of the source and database, followed by guidelines on how to access the data (including Web sites) and what to request, and examples of how the data have been used by epidemiology work groups or Federal agencies. NIDA hopes that this revised guide is helpful to agencies, organizations, and researchers that are involved in or wish to establish epidemiology networks in their communities or States. The U.S. Government does not endorse or favor any specific commercial product or company. Trade, proprietary, or company names appearing in the publication are used only because they are considered essential in the context of the material described here. This publication is available for your use and may be reproduced in its entirety without permission from NIDA. Citation of the source is appreciated, using the following language: Source: National Institute on Drug Abuse; National Institutes of Health; U.S. Department of Health and Human Services.